Babes in the dirt WOULDN'T be possible without the support of THOSE who believe in It. We are proud to work with these brands who've helped us create an off road event like no other. Husqvarna Motorcycles has been a huge supporter of Babes in the Dirt since day one. Each year they bring demo bikes, trail leads, and professional instruction to the event all while giving ladies the opportunity to ask questions, learn about dirt biking, and encourage them the entire way. Husqvarna is there for you no matter what kind of bike you ride with a high five, smile, and incredible pointers that will help you become a better rider. We are proud to partner with Fox for over 3 years to ensure each and every lady is educated about safety gear. Each year, Fox Womens has outfitted new and seasoned riders during their gear demo which includes helmets, moto boots, and chest protectors. You'll be amazed at the confidence you'll experience in their expertly designed motorcorss gear. We are proud to partner with Thousand Oaks Powersports for another Babes in the Dirt. These men and women helped almost 200 motos get back in action with 24/7 wrenching free of charge at last year's event. We can't thank them enough not just fixing the problems, but showing the ladies how it happened and how to avoid it in the future. The queens of fun will be supporting this year with contributions to the Kurt Caselli raffle. WLF believes we can go further together and we couldn't agree more. We are beyond thrilled to have the Wolf Pack back for their second year at Babes in the Dirt. WLF will be patrolling to offer a helping hand on the trails, lead rides, and will be bringing a truck load of firewood to keep us warm at night. The Kurt Caselli Foundation was established in 2013. The focus of the foundation is the safety of riders and racers in the off-road motorcycling industry. The Private ambulance service you will see on site at Babes in the Dirt, is 100% provided and paid for by the Caselli Foundation. FMF has a goal that will never change – take the most advanced machinery to its limit by building the world’s best performing exhausts. 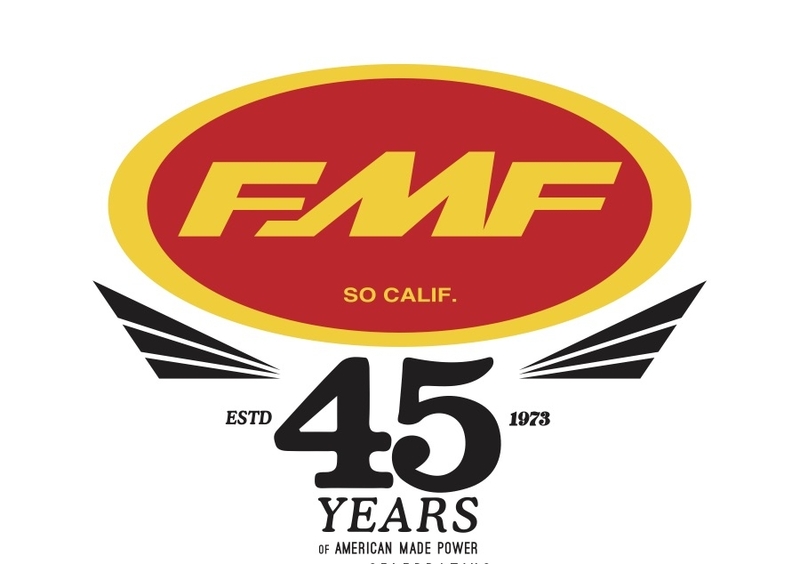 And it's a fact, they build every exhaust by hand from start to finish right here in the U.S. We are proud to partner with FMF to enhance your riding experience by offering trail support and raffle items you won't believe! Interested in getting involved with Babes in the Dirt? Fill out the form below and you will hear from us shortly.